The ACT Government is committed to making its online information accessible and usable to as many people as possible, regardless of ability or technology. Meeting web accessibility guidelines and standards is an ongoing process that we are regularly working to improve. 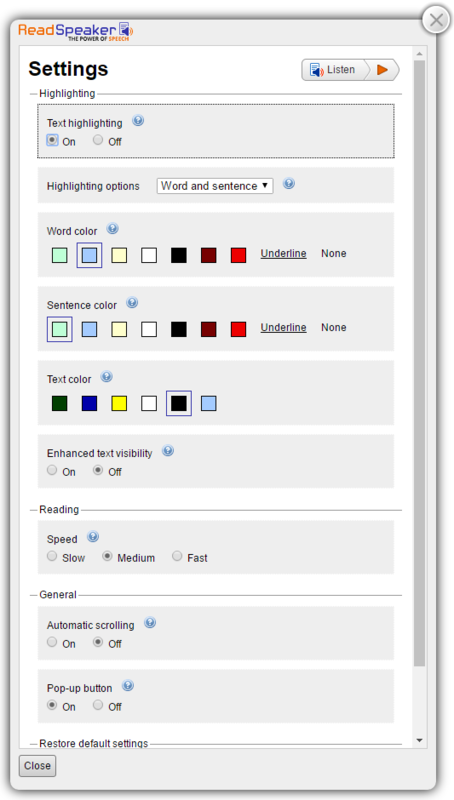 This website aims to conform to Level AA of the Web Content Accessibility Guidelines, version 2.0 (WCAG 2.0). These guidelines were developed by the World Wide Web Consortium (W3C) and explain how to make web content more accessible for all users, including those with disabilities. While accessibility is very important to us, we cannot always control the accessibility of online content outside of our domain that may appear within our website - for example, embedded social media widgets. The ACT Government endeavours to publish documents in HTML format or multiple formats optimised for accessibility. However, this is not always possible for some document types - for example, scanned documents and submissions produced by third parties, or documents containing complex data tables. For assistance in accessing content on this website, or to provide feedback, please contact us or phone 13 22 81. Wherever possible, we will do our best to fix the problem or provide the information in an alternative format to suit the needs of individual users. You can also listen to the settings by clicking the Listen button at the top right of the Settings menu. The ACT Government is committed to ensuring that all Canberra residents, regardless of their background, have equal access to its programs and services. It is ACT Government policy to use professional interpreters when speaking with people who have difficulty communicating in English. You are entitled to an interpreter free of charge when dealing with an ACT Government directorate or agency (such as schools, hospitals and Shopfronts). Simply ask the staff member you are dealing with to arrange an interpreter.